There was no need for me to buy a plane ticket to get my fair share of vacation this fall—the Adwoa Aboah x John Hardy Bring Bali to NYC Event last week completely fulfilled my tropical desires. Inspired by the model’s new collaboration with the esteemed jewelry brand, the launch party put me on a Bali Ha’i (google South Pacific). When I entered the venue, the spacious Cedar Lake in Lower Manhattan, I first posed for press images in front of a neon, LED “John Hardy EST Bali 1975” sign. My outfit—an Adaline Smocked Velvet Strapless Top from Revolve paired with the Starry Sky Mesh Embroidered Skirt from Chicwish—was a nod to the designer’s dazzling silver designs. I was then handed a small drawstring bag filled with gold tokens, which I later learned would exchange for Bali-inspired keepsakes—including straw hats, floral umbrellas, and hand fans—as I visited different booths. The room was surrounded by a myriad of displays that captured the essence of Bali. There were crystal consultations, a lineup of spices, drinks served in custom "AA x JH" coconuts, and bejeweled nail art. Master artisans from Bali at the event even practiced chain weaving, a signature handcrafted motif from the island. 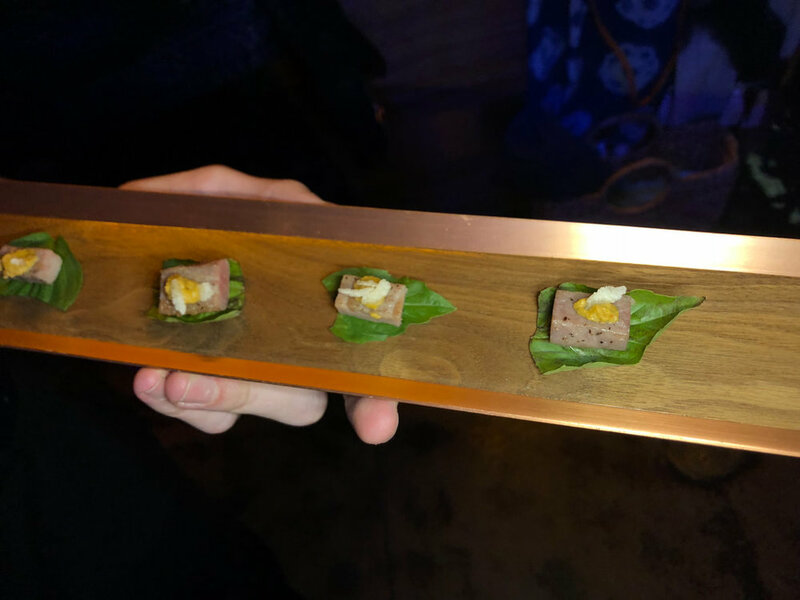 As a DJ spun tunes throughout the course of the evening, waiters passed around hors d’oeuvres such as coconut shrimp and roasted tuna on a basil leaf. Attendees enjoyed guava lemonade and mango pineapple juice as well, which were passed around on a limbo bar. One of the highlights of the event was trying on the jewelry from the Adwoa Aboah x John Hardy Back to Bali Collection, displayed in glass cases on tables. Each piece was unique and stunning, and I could hardly wait to make my purchase online later on. Leaving that night with my hands full of souvenirs from Bali, I couldn’t help but feel as if New York was more distant than ever. But then I stepped out on to the sidewalk and was blinded by illuminated skyscrapers from 12th Avenue. Reality stinks.